Within this section, you will find all kinds of spare parts for Case-IH tractors. 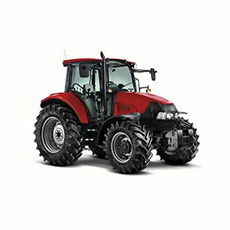 Searching is simple, as you can enter the product and/or model of Case-IH tractor. The results show two references: one for the Case-IH OEM part and the other (Fuster ref) for the spare part manufactured by Repuestos Fuster, with the advantage that this is cheaper and offered by us with the same assurance of quality. They are original spare parts of high quality, manufactured by a production process subject to the strictest controls, both of the material used and the finish and later packaging and labelling. At Repuestos Fuster, we have a wide range of spare parts for all Case-IH tractor models, so it is more than likely that we will have the spare part you need. After all, we have about 700 items for Case-IH tractors, compatible with over 15,000 different applications. Among the items are also parts for different reasons, such as age, technical complexity or price, which are difficult to find in the market today. Also, because we know that a Case-IH tractor cannot lie idle for several days in the field or in the workshop, 99% of our stock items are available for next day delivery. In addition, the complementary nature of the parts is another of our main concerns, such that we not only manufacture the main spare part, but also all other parts necessary for its proper assembly and operation; such as gaskets, seals, nuts and pins, so that you don’t have to go to several suppliers to carry out the complete repair. To find the part you need, you can perform several different operations. Firstly, use Internet search engines, where you enter the item, the product, the Case-IH make and/or tractor model for which you are looking for the part. Alternatively, you can browse intuitively through the Case-IH tractor spare parts menu, where you can see all our products organised into twelve different part groups (Cables, Gearbox, Body and cab, 4WD front axle, 2WD front axle, Hydraulic lift, Electrics, Clutch, Linkage, Brakes, Engine, Body and Transmission and power take-off). To the right of these products is the part number, and clicking on its name takes you to another page with the Fuster and OEM reference numbers.